It’s about time for Spring’s arrival, at least in my book. The calendar says it’s about 2 weeks away and the snow on the ground seems like it will never leave. Nevertheless, spring will be here soon! I finally took down my burlap wreath that I had decorated with snowflakes and replaced it with a cheery lime green and white spring floral wreath. 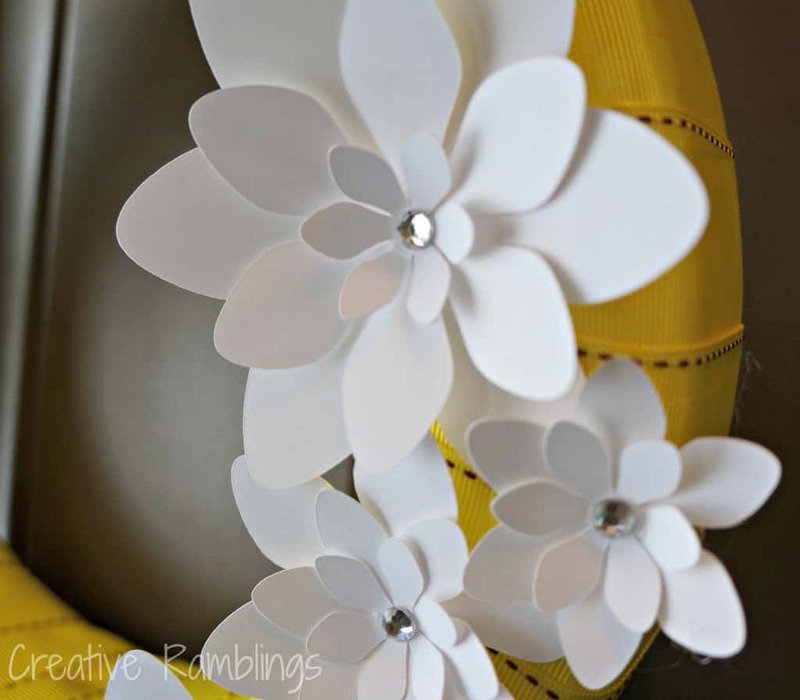 This was a simple project using a foam wreath, ribbon I had on hand, and paper flowers cut using my Silhouette. I wrapped the wreath with ribbon securing it with stick pins. 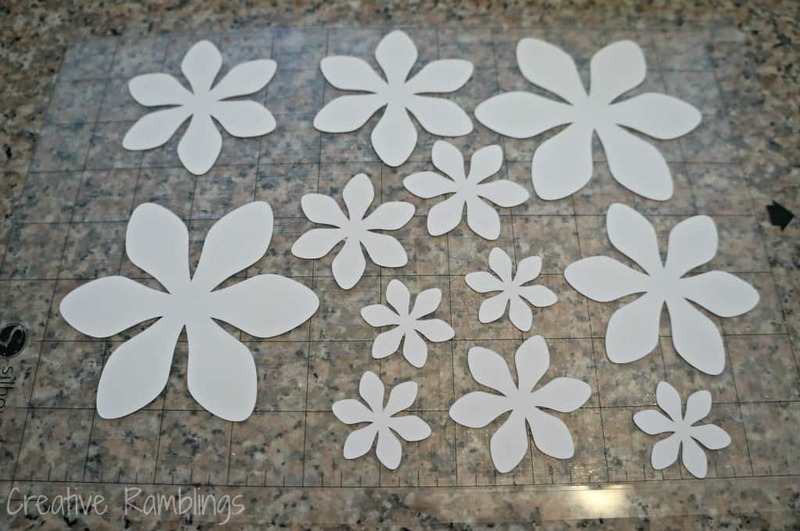 Using my Silhouette I cut a variety of flowers and layered them, highlighting the center with a rhinestone. I attached the flowers with some hot glue and added a piece of sheer ribbon to the top to hang it on my door. It’s a fresh look from the front porch, even if the porch is still covered with snow and ice. Want to cut some flowers and add some cheer to your home? 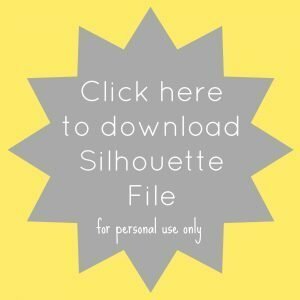 Feel free to download and use the Silhouette file below, please only use it for personal projects. Love this wreath! Seriously gorgeous. Hopefully it will summon warmer weather across the country! Thank you Heather, I hope so too! 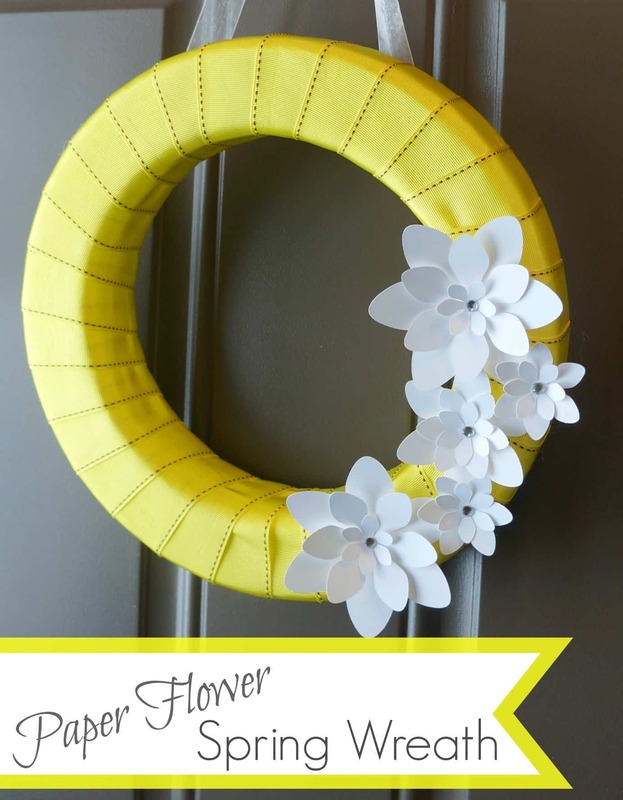 I love the idea of this simple wreath! 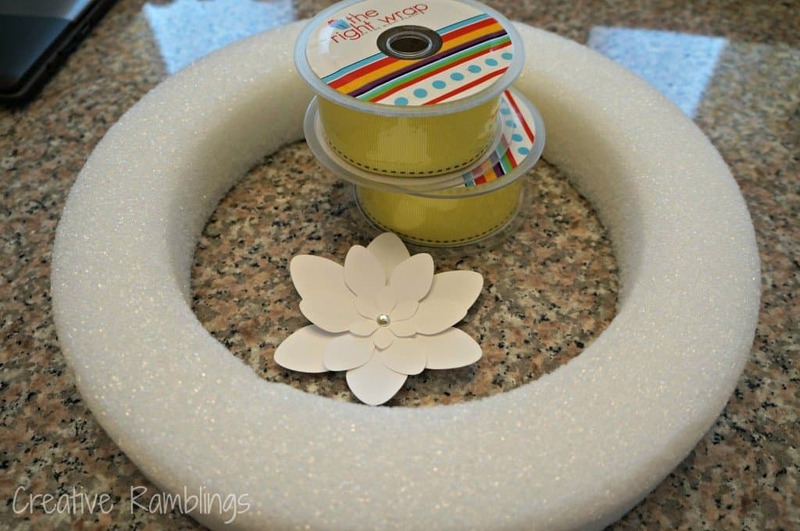 Wrapping it in ribbon is a great idea and there are oh so many color possibilities! Thank you for the cut file. I know I will use it. Good to hear Kelly, glad you stopped by. The bright white flowers on the yellow wreath make my heart go pitter patter. I love your it! Pinning. You are too sweet Laura, thank you. Love this – so simple and cute! I love the miinimalistic look of this! Very elegant! Love, love, LOVE this fabulous wreath. It looks like a bright, sunny spring day captured in ribbon and paper! I’m so happy to be a part of this incredibly talented Silhouette Challenge group! Thank you Joyce, that’s the look I was going for. I love this group too, so much inspiration. Nice blog. Very simple project that looks great! Wonderful idea for Spring! Thank you Camila, I’ll be sure to come by and check it out. I love this! Thanks so much for the free printable! You are welcome Heidi, thanks for stopping by. Super cute! I think a few of us were in the mood to make spring wreaths :). Love it! I know I saw that, it’s such an easy way to brighten up a front door. Thanks for stopping by. 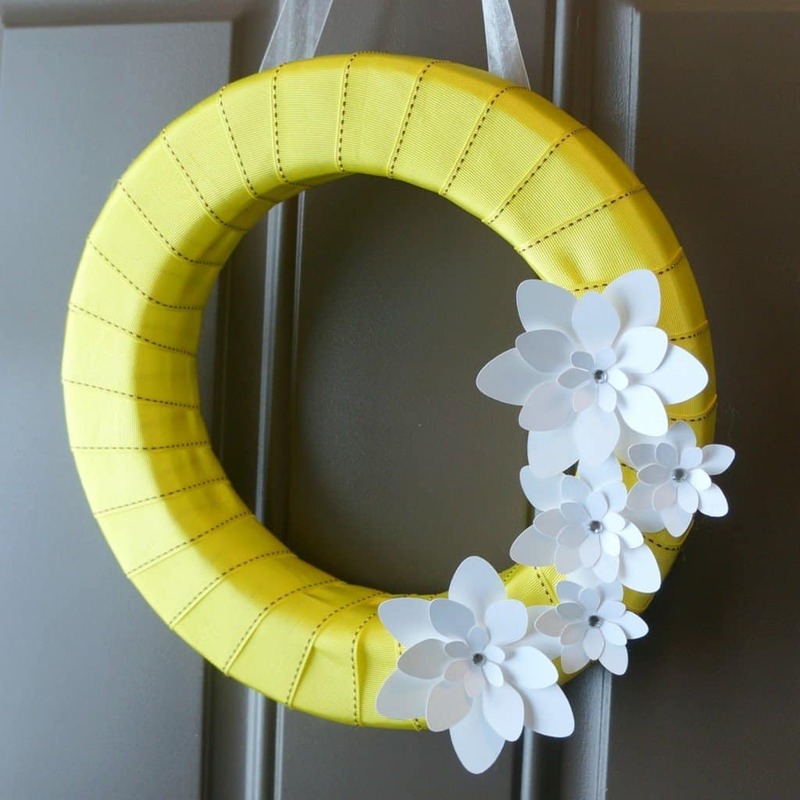 I love how simple this wreath looks! I smile when I see your wreath. You did a great job adding the perfect touches, which shows this door is to your home. You are very sweet Karen, thank you. 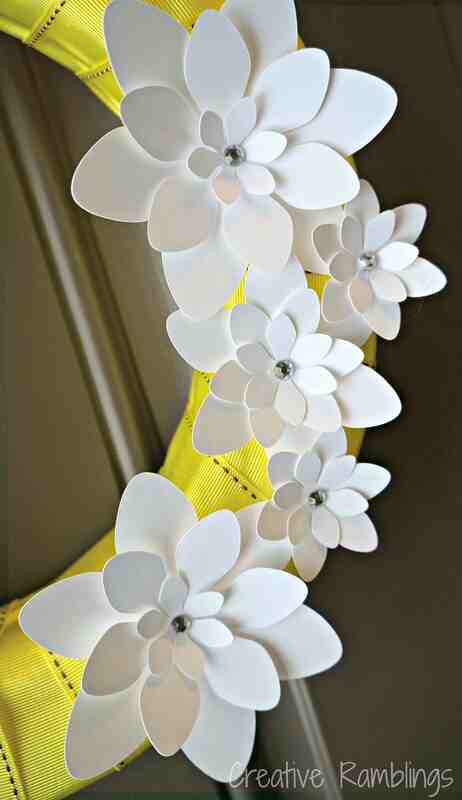 I love the yellow ribbon with the stitching that you chose! So cute! You did a great job! It’s so clean and crisp!! !